BBC Top Gear is Britains top selling car magazine, thanks to its unique blend of information and entertainment. Road tests, reviews, price guides, motor sport. 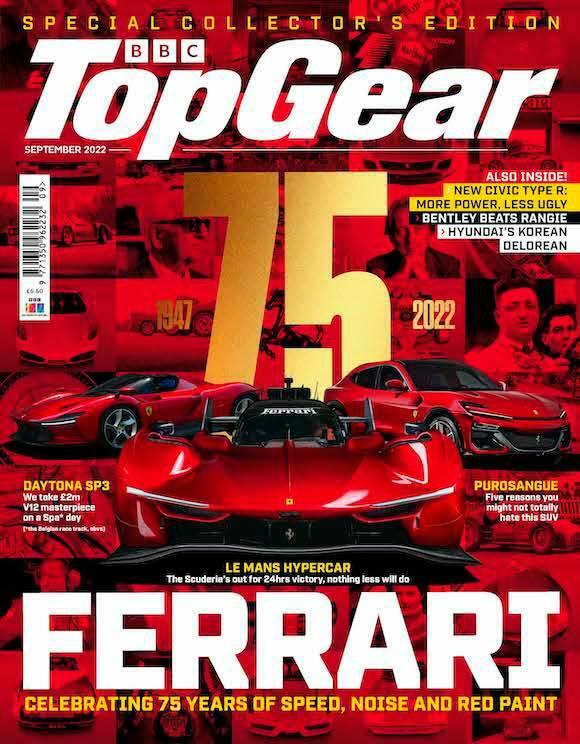 Every month in Top Gear Magazine you'll find tests of all the latest cars, advice on car buying, witty stories from the world of motoring and a complete listing of prices and specifications for new and used cars. Just £39.99 for 12 issues of Top Gear Magazine. BBC Top Gear Magazine is available from only £39.99 for 12 issues - and that gets you Top Gear Magazine every month for a whole year, delivered direct to your door! Top Gear Magazine rates may vary due to promotions etc. click 'subscribe now' to get up to date pricing.